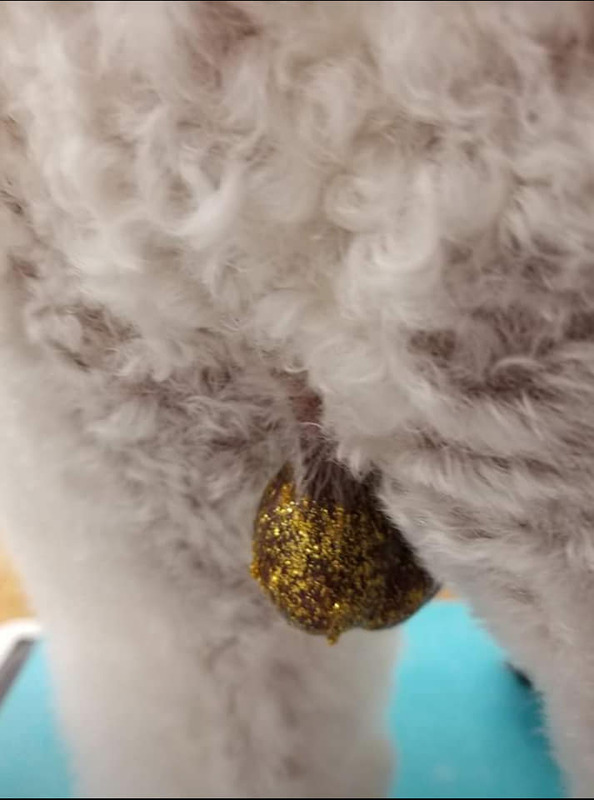 In British slang, to call something “The dog’s b*llocks” is basically saying that it is really good. I guess over here, we’d be more likely to say “The mutt’s nuts”. 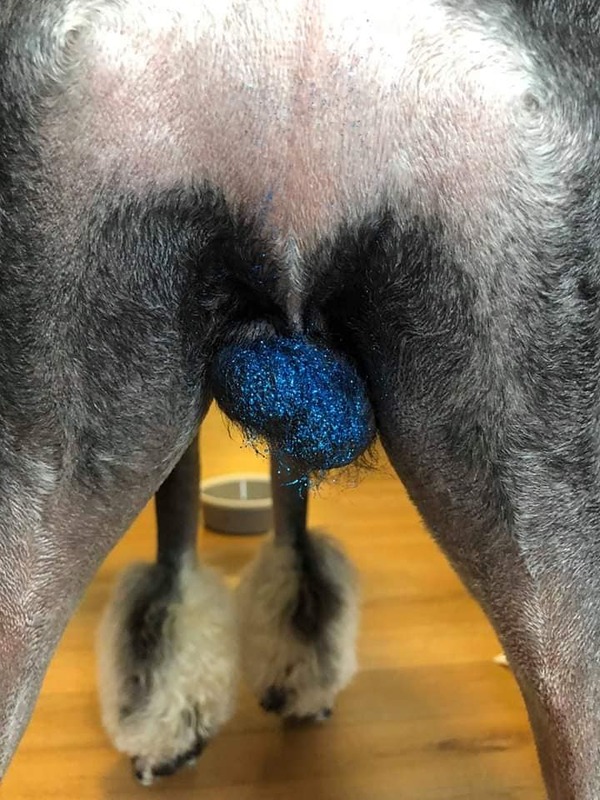 Either way, it seems like this phrase is being taken far too literally, in a bizarre trend among dog owners where they paint their dog’s testes with glitter. 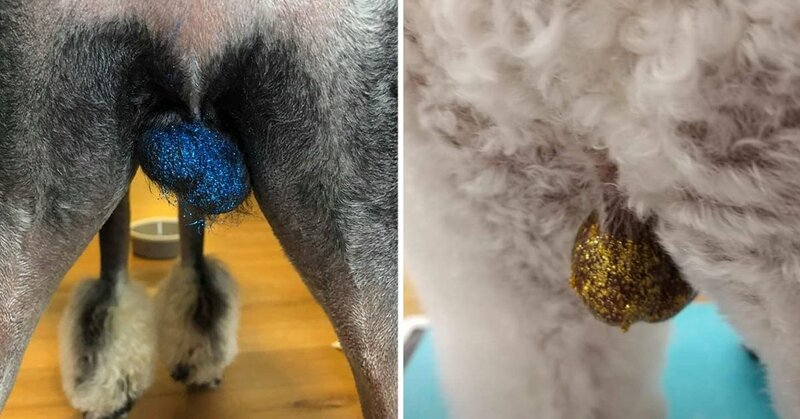 Yup – according to Distractify, this trend was first seen at the Royal Paws Pet Salon in High Point, North Carolina. It truly baffled staff, to the point where they posted a photo of it on social media, at the same time clarifying that they wouldn’t be offering the service themselves. This was posted on 24 January, alongside a whole host of pictures proving that this actually is a thing that people are doing. Usually with trends, there is some kind of vague logic or catalyst as to why it’s happened, but with this one, Lord only knows. Naturally, a lot of people are very concerned about this practice, and with good reason too. However, we are assured that the glitter used is edible and stuck on with corn syrup. That means that at least no dogs were harmed in the making of this abomination. After all, we all know what gross stuff dogs get up to with their mouths on a daily basis. As ever, there are a wide range of opinions on the Internet about whether this is abusive towards the animals or not. “The animal isn’t harmed, they aren’t neglected, actually it’s the complete opposite since it’s part of a grooming service. Now, is it disturbing? Absolutely. Whether or not it is harmful or cruel to the dogs could be a subject of hot debate, but I think we can all agree on one thing – it’s freakin’ weird.